Making the decision to separate or file for divorce can be an emotional and painful process for many couples and families. Every state has different requirements regarding what a divorce entails and any proceedings that must be satisfied beforehand. In some states, there is a required amount of time, anywhere from 90 days to a year, that a couple must legally separate, shown by separate living situations, prior to filing for divorce. Courts sometimes do this in order to allow the couple to consider their decision and determine if it is best to be permanent or if their differences are reconcilable. In Texas, there are no legal requirements that a couple must spend a specific amount of time apart in order to divorce. 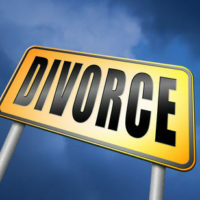 Once the request for divorce is entered, there still is a trial period, which may take a number of months before the couple becomes legally divorced. During this intermediate period, the courts can either grant temporary orders or follow a separation agreement established by the couple. Temporary orders can be established by the court until the divorce is final and outline terms such as temporary child support, temporary spousal support or alimony, monthly stipend for expenses, and temporary possession of the marital property such as the home and cars. This helps ensure that after the divorce becomes final, there are no messy financial matters to sort out, both parties can separate accordingly. Alternatively, if the couple has established a separation agreement, the court will allow that to control until the divorce is final. Separation agreements are made outside of the court and are not legally enforceable as a court order, because they are considered a contract entered into between the two parties. If one party violates the contract, the other spouse would have to bring a breach of contract claim instead of a violation of a court order. These agreements are generally entered into between couples who have already pre-established or can easily separate their assets and debts without much conflict. Some couples will sign a separation agreement to live separately, with full division outlined, but remain legally married, generally for insurance or religious reasons. Divorce decrees do not have to be a lengthy, drawn out process that takes all of your emotional energy. If you or someone you know is considering filing for divorce or needs assistance with a temporary order, please do not hesitate to call the experienced lawyers at Lindamood & Robinson, P.C. today in our Houston office at 713-654-2112 or our Galveston County Office at 281-486-6116, or simply reach out using our website and we will contact you. We will work with you to help you start your next life chapter.